According to the American Academy of Otolaryngology – Head and Neck Surgery (AAO-HNS), nearly 15 percent of adults in the United States. Sinusitis accounts for over 10 percent of all primary care antibiotic-related visits, and for more antibiotic prescriptions than nearly any other diagnosis. 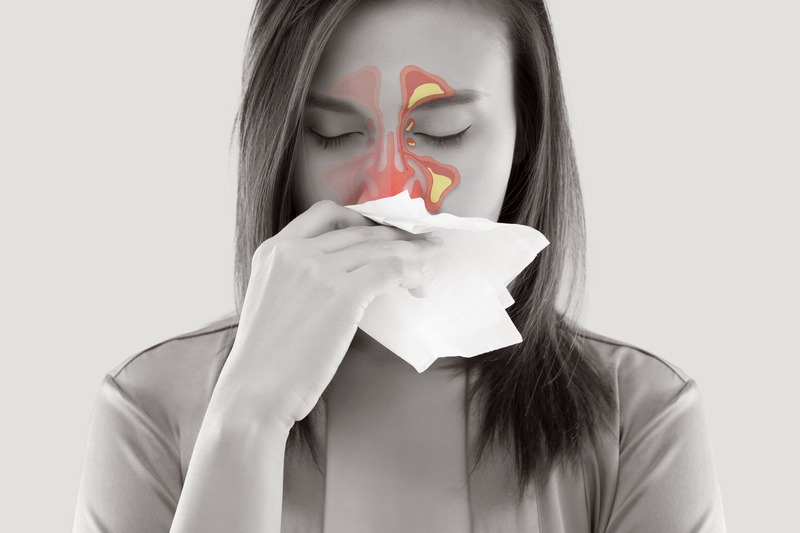 When you have acute or chronic sinusitis, the mucous membranes of your nose, sinuses and throat become inflamed, possibly from a pre‐existing cold or allergies. Swelling obstructs the sinus openings and prevents normal mucus drainage, causing mucus and pressure to build up. Sinus symptoms include: drainage of a thick, yellow or greenish discharge from the nose or down the back of the throat; nasal obstruction or congestion; tenderness and swelling around the eyes, cheeks, nose and forehead; and/or a reduced sense of smell and taste. The impact of chronic sinusitis on a person’s quality of life could include: throbbing facial pain or headaches, congestion, bad breath, irritability, fatigue or nausea.